Up to 4,000 jobs could be created if expansion plans for Bristol International Airport (BIA) are approved, the firm running it claims. 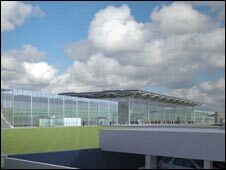 The proposals include extending the terminal building and providing extra car parking and new aircraft stands. 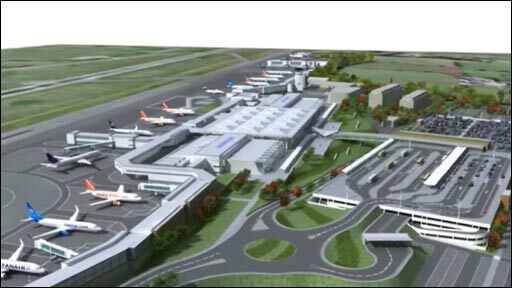 The airport said there was room for most of the facilities on the existing site and that the scheme would inject more than £340m into the local economy. But opponents said the economic arguments were "extremely weak". Hilary Burn, spokeswoman for Stop Bristol Airport Expansion, said the airport's figures did not stand up. "Expansion at any airport, whether it be Heathrow or Bristol, makes a mockery of the government's green credentials as supposed leaders on climate change. "We cannot keep growing airports and expect to make the massive cuts in carbon emissions that we need to safeguard our future." But Robert Sinclair, chief executive officer for the airport, said the new facilities would improve services for passengers and help to increase the range of flights available. "It will also help us attract tourists directly into the region, supporting the local economy," he said. The expansion would enable the airport to handle 10 million passengers a year - at present it deals with about six million. The airport said it would "carefully manage" the noise impact by encouraging airlines to operate quieter aircraft and by imposing penalties on those which exceed agreed limits. The proposals, which are subject to a six-week consultation, will be put before North Somerset Council at the end of March, with a decision expected by May.